Our world has come real close with the advent in technology. People these days do not meet and greet much as most of the discussions and socializing happens over the phone. This piece of gadget has evolved ever since Graham Bell invented it. Who knew that such a technology would take us to a level where everything could be done with a touch on the phone screen. The phones these days are called as smart phones as they can do almost everything. You need not step out of your house or office even for shopping of food and groceries. All these are readily available at your doorstep and that too at discounted prices. So, when the phone can offer you so much utility, why waste time in shopping locally. But your phone is also a threat to you. This is because you have a lot of vital information and data stored on your smart phones that if gone in wrong hands can impact you dearly. So, what do you do to protect your phone and its data? Well, the answer is not that difficult as you just need to get an insurance for it. Phones also known as mobiles can be insured completely from all sorts of damages. An insurance for mobile would cover the costs of repairs and replacements for your phone in case of damages and loss of phones. A mobile insurance would help you to safeguard it from all such damages and give the money you require. This insurance has many folds which at each stage of damage could pose as a shield for your phone. This insurance comes at a premium which needs to be paid on yearly basis for the phone to be covered for this period. You can search for all sorts of mobile insurance online at Wealth County and protect your phone for as long as you own it. Your mobile insurance would cover almost every part on your phone. This would include the battery, charger, phone and all its internal parts. But it depends on what kind of damage has occurred on the phone. This could be due to a fall or a bang or may be due to liquid damage as well. Most of the insurances cover each type of damage but not liquid. This is because that are high possibilities that the phone may be damaged due to liquid. However, these days there is a complete mobile insurance which would even protect it from liquid damage. When you buy an insurance for your mobile, you get a policy for it. This policy has all the terms and conditions mentioned on it. These terms and conditions are as agreed by you while purchasing the insurance. It is a proof that you would be given a cover in case if anything happens to your phone as per the mentioned details on the insurance policy. So, when such an incident occurs, you can claim for your mobile and its expenses. When you apply for a claim, you would submit it to the customer service to check the total damages and what would be the cost to get it repaired. If the damage is to the body and the internal parts are fine, the body would be replaced, and your hone would be as good as new. The cost for such damages would be minimum and the repairs can also be done quickly. In case of any internal damage, the details need to be checked by the engineer so that your phone can get back to normalcy. You would need to make a payment based on your insurance policy and you are good to go and use your phone as usual. How to get insurance of your mobile phone? You can buy your mobile phone insurance online at Wealth County. It has some of the most exclusive insurance policies for your phone. All you need to do is go online and find your mobile phone model. The details for all types of insurance from leading insurance companies would be available. You can get into detail and understand each aspect before you hit the buy button. You can also get the insurance copy online to print it and keep for reference. It would also be sent to your registered email address and couriered to your mailing address as well. Why do you need mobile insurance? The need for a mobile insurance is very high as it is one of the most precious devices in today’s times. The reason is simple, it does almost all types of work for you and gives you great utility while on the go. It holds all your data and information with utmost secrecy and can help you to connect with people over voice or messages whenever you need. Socializing over the phone has become trend and you would not wish to be left out from this league. So, you have many such reasons and a few more depending on your requirement to buy a mobile insurance. Which mobile insurance best in India? There are many insurance companies that offer you an insurance for your phone. But you should go with the best that would help you in your difficult times. The company that would clear your claims quickly and with maximum coverage would be the best company for a mobile insurance. You can compare all the insurance plans for a mobile phone on Wealth County website. It is a one stop solution for all your insurance needs. You can get instant mobile insurance quotes online by selecting a few options and choosing the best available from them. If you wish to compare mobile insurance quotes, it can be done online. There is an option for such a comparison which would give you each parameter in detail and help you to choose the right plan for your mobile. 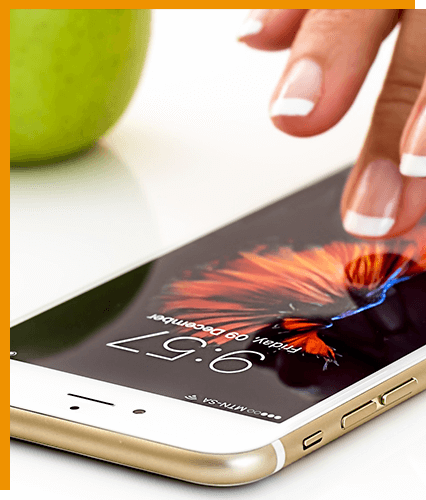 Almost all plans are perfect for you, but there are certain plans which would give you some extra added benefits to help to safeguard your phone a notch higher. You can compare mobile insurance in India and make the most of such a service. Such plans are very cheap as compared to the prices your smart phones hold today. The market for mobiles is huge in India and very lucrative. Technology never stops evolving itself, and almost each day there is a new mobile phone being launched or about to be launched. This would give the customers a new phone almost each year to get in sync and match pace with technology. This means that each phone would also need an insurance coverage to keep it up and running always. This mobile phone insurance has gone a level higher by keeping all damages and losses at bay to give you complete coverage. Mobile phone insurance is become a necessity with the current demand for it. There is a lot that can be protected when you buy an insurance for your phone. There are many types of insurances available for specific range of phones. You can get an iPhone insurance as it is an expensive range of smart phones. Mobile phones are easily available online and these days the manufacturers are coming up with plans that could give you mobile insurance when you purchase it the very first time. This helps the mobile insurance companies to increase their sales figures by introducing a complete insurance package at a discounted rate. The mobile insurance policy has almost everything mentioned so that you need not worry about any clause later. So, find the best smart phone for your use and keep it covered with the insurance policy wherever you go. Insurance companies may also dupe you while selling mobile insurance. They may give you an insurance cover for your phone with limited coverage. For instance, you would get coverage in India but not in any other country when you are on travel. This could risk your expensive phones and make you hell bound on not using them when you are on travel. Also, these companies may ask you to keep it away from any kind of liquid as that would not be a part of the insurance policy. But it is next to impossible to keep your phones away from liquids. You may spill water accidentally while using your phone. So, it is necessary for you to get into the details of the phone insurance before you buy them. Wealth County is a one stop solution for all your phone insurance needs. They have some of the best available insurance plans for all your mobiles so that you need not run from one company to the other to find one. All the insurance plans available in the market for a mobile phone are showcased on the same page so that you can compare the insurance quotes well. This gives you a clear comparison for all sorts of insurances available and choose wisely. Your phone insurance is not only limited to physical damage but software damage too. If you have a virus or a bug in your phone, it would damage your data and make you helpless. With the phone insurance, you should also but anti-virus packages. They come very cheap and are many times also available with the phone insurance. You can buy it and install it in your mobile phone to keep it away from any anti-virus or malware. There are many features of a phone insurance and you should know almost everything about it. This would help you to know which feature is great for your use. You can get a free replacement of your smart phone if the damage is huge and not due to your misuse. The replacement would also be given within 24 hours if you have a premium plan. You get an insurance cover post your manufacturer’s warranty ends. This means that you would be covered for damages, theft, loss, liquid damage and almost every type of issues related to your phone. You can claim for your insurance within 10 minutes and get a hassle-free claim within no time. It can also be cleared within 24 hours at times depending on the insurance company so that your phone repairs can start as soon as possible. You can get a backup of your contacts and data available on the phone before the repairs start. This can be a part of the insurance policy. This is because all the contacts and data are an important part of every individual. This would help them to buy a new phone or replace it with an old one. The data should be just moved to the other phone. This is an important part and you should look for it as a clause to cover in your mobile insurance. You can get such insurance with all the leading manufacturers who have a tie up with the insurance companies. This would help you to get your phone fixed within no time as the parts and spares would be made available easily even if the phone belongs to an old model. You can get your phone insurance renewed each year without any hassles so that it stays covered until you use it. You can make a payment for such insurance online using the many digital platforms. Also, you can get your claims settled using the digital modes so that the transfer happens soon. You can get in touch with the customer service representative around the clock for all your insurance needs and apply for a claim in the wee hours too. All this and much more would help you to get a good insurance for your phone. So, make a note of all such important points and get as much protection for your smart phone. Find all these types of information and much more on one platform called Wealth County.